This blog is called Family Travel Times and one very important member of that family is my lovely niece, Ella, who is now 17. Here she writes about a trip to the gorgeous city of Newport, in New England, USA. “I recently visited Newport, a beautiful coastal city in Rhode Island. Having arrived in Newport following a truly incredible, but extremely intense and busy, five day stay in New York, the relaxing town was exactly what I needed. Newport is famous for its historic mansions. During the Gilded Age, America’s wealthiest families flocked there – and to the surrounding areas – in the summer. Today, more than a dozen of these properties have been preserved, and tourists are able to visit them. Although my family and I did not choose to go inside any of the mansions, we drove from one to the next and marvelled at the impressive buildings and beautiful views. Also, located in Newport is the Touro Synagogue. This is a 1763 synagogue, and is the oldest synagogue building still standing in the United States. The synagogue is extremely historically significant, as it was the second oldest Jewish congregation in the America, home to a congregation called ‘Nephuse Israel’, meaning Scattered of Israel. The earliest known Jewish settlers in Newport arrived from Barbados, where a Jewish community had existed since the 1620s. They were of Spanish and Portuguese origin; their families had migrated from Amsterdam and London to Brazil and then to islands in the Caribbean. I first visited the museum attached to the Synagogue, to find out initial facts about the history of it. Here, you can purchase tickets for a tour of the actual Synagogue building, which was accompanied by a talk by a volunteer. Tickets for this were $12 for adults and $8 dollars for students. Children 13 and under were free. The talk inside the synagogue was very interesting; the speaker was open to questions and providing further insight into this synagogue and its fascinating history. Whilst staying in Newport, my family decided to take advantage of our hire care and drive to a shopping outlet. The Wrentham Premium outlets are easily reachable, in the direction of Boston, and the journey took only an hour. This was particularly beneficial, as clothing is not taxable in Massachusetts – so if you’re going to shop anywhere, do it there! There was also a lovely range of shops in Newport itself. The town centre was quaint and sweet, with a real community atmosphere – everyone was friendly and welcoming (and I’m sure the novelty of the British accent did help!). Shops here included Gap and Sephora, as well as several unique shops, selling homemade gifts and goods and perfect souvenirs to remember your trip. Another exciting thing to do in Newport is the Cliff walk This is a 3.5 mile path, through which you can experience both the natural beauty of the incredible coastline, and the architectural history of the Gilded Age. You will experience stunning views of the oceans, and be able to see the historic mansions. If the weather is right, this is a must! 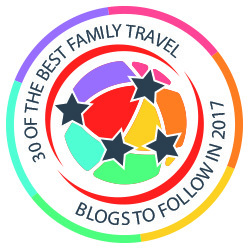 I love how you get all the family involved – between you I bet you have covered loads of destinations! It sounds from Ella’s account that a trip to New York and Newport would provide that balance I’d seek in a holiday as New York can be exhausting! I enjoyed reading her thoughts. Nice job, Ella!!! You’ve given an enjoyable glimpse into a visit to Newport. I haven’t been there myself, but I’ve read plenty about the opulent mansions. It’s got to be something to see! First of all, how cool that you niece is writing on your blog! Great job, Ella! Rhode Island looks like a fantastic destination for all ages. Love her perspective on her visit to Newport! She describes the destination very well. Such a historic place in the United States. Rhode Island is one of the states I haven’t been to yet. Would love to visit and explore this small town and more! Thanks for the tips. I’d skip the shopping and see the sights and historic spots, drink some beer and walk lots! I visited Newport Rhode Island many years ago and enjoyed the cliff walk and mansion tours. Your last picture brought back happy memories of my visit. I’m interested to learn about the historic synagogue, and will plan to visit next time I’m in the area. Nice write-up of what sounds like a fun trip. Love that you’re getting the extended family involved in your site! Have heard of Newport but really didn’t know much about it so enjoyed the sneak peak. I should really try to get more of the family involved…..